Trio Con Brio of Coppenhagen will perform at 7 p.m. Feb. 15 at the Church of the Eternal Hills in Tabernash. For those of you who missed the last Grand Concert, the Vida Guitar Quartet, you have another chance at hearing some great music. The Trio Con Brio Copenhagen will be playing music composed by the rock stars of their day, Haydn, Beethoven and Smetana. Sisters Soo-Jin Hong, violin, and Soo- Kyung Hong, cello, play with Jens Elvekjaer, pianist. 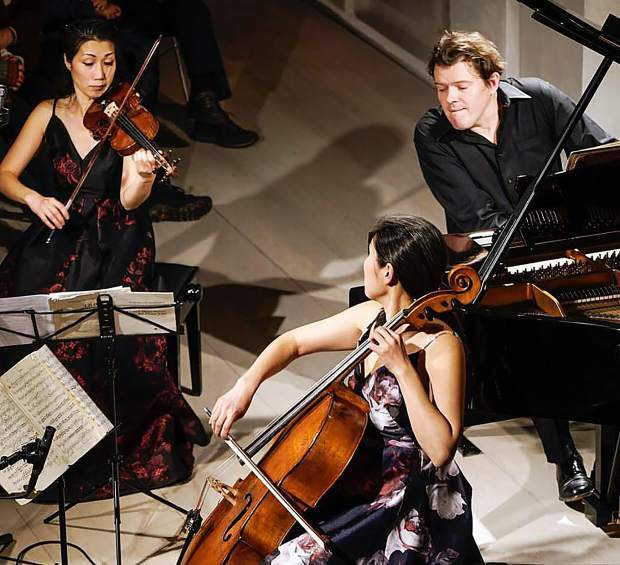 Since it formed in 1999, Trio con Brio Copenhagen has won most of the international competitions for piano trio. They are the winners of the prestigious Kalichstein-Laredo-Robinson International Trio Award. They are described as exploring the piano trio repertoire with freshness and curiosity as well as with respect and reflection. They are the founders and artistic directors of the Copenhagen Chamber Music Festival. In addition, they play a central role in Scandinavia’s vibrant contemporary music scene. As educators, they teach at the Royal Academy of Copenhagen and give masterclasses while on tour. Individual tickets for each concert, which begins at 7 p.m. Feb. 15 at the Church of the Eternal Hills in Tabernash, is $25. Students are invited for free, and the après concert reception is included in the ticket price.